OBERHOF, Germany — On the final day of World Cup racing for the weekend, USA Luge posted sixth-place results Sunday in both women’s singles and the team relay. Rain and wind greeted the women in Oberhof, also known as Blow-berhof by USA Luge athletes for the region’s preponderance for strong winds. Temperatures pushed the 40-degree mark adding to the tour’s weather issues throughout Germany over the past month. USA Luge’s lone entry in the women’s field, two-time Olympian Summer Britcher, was sixth on a day when the home team took all the hardware. 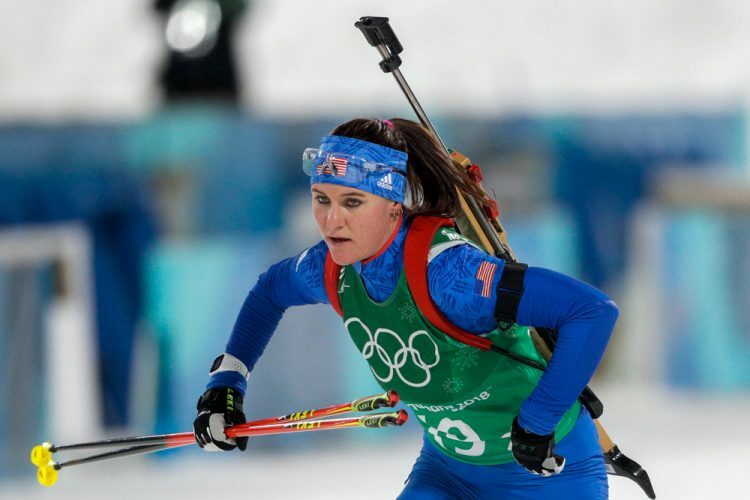 Britcher’s result, in a season where she’s won three World Cup medals, all consecutive, enabled her to remain in third place in the season-long standings with two events remaining in Sochi. Pyeongchang Olympian Emily Sweeney did not compete this week, opting instead to rest as part of her comeback from a year ago. Despite entering just six of 10 World Cup races this year, the Suffield, Connecticut athlete is 10th in the overall standings. Sweeney will race at the World Cup finals. Britcher, of Glen Rock, Pennsylvania, ran the lead leg in the team relay where she teamed with Tucker West and the doubles team of Chris Mazdzer and Jayson Terdiman. The latter two will return home Monday as Mazdzer will begin evaluation of the neck and shoulder issues that he’s raced through this winter. The Americans are fourth-ranked in the World Cup team relay standings. 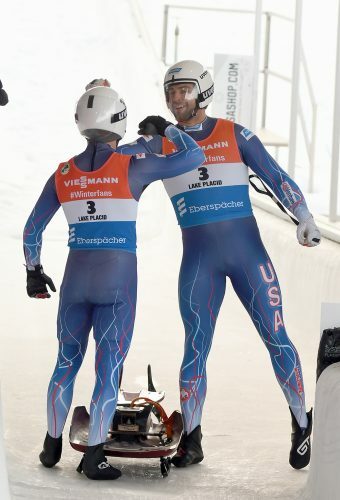 With Mazdzer and Terdiman, the only doubles team, now having concluded their seasons, USA Luge will be among the spectators at the Sochi team relay. Four singles athletes will participate there – Britcher, Sweeney, West and Jonny Gustafson, of Massena. Germany’s 2018 Olympic team swept in Oberhof, led by Natalie Geisenberger, a winner of five Olympic medals, four of them gold. Her season has featured five victories and four silver medals in 10 events. The effort, coming five days after her 31st birthday, also secured her fourth European title as the weekend had double significance. The World Cup finals in Sochi two weeks from now figures to offer a pair of victory laps before she caps her seventh consecutive World Cup crystal. She is looking to match Markus Prock of Austria, who achieved this in the decade of the 1990s. The U.S. quartet, sixth team on the start list, clocked 2:23.666. They got no closer to the podium than Britcher’s third best women’s run. West, of Ridgefield, Connecticut, had the fastest reaction, but saw time slip away going up the long, slow outrun to the pad. Perhaps a sign of Mazdzer’s neck and shoulder problems manifested itself in the doubles’ reaction time. Normally among the quickest, Mazdzer, of Saranac Lake, and Terdiman were off the pace from the start gate. They gained time on the trip down the course, but could only maintain the position established by West. In his final World Cup doubles luge race of the season, Chris Mazdzer teamed with Jayson Terdiman to finish 10th Saturday in variable weather in Oberhof, Germany. At the moment, the duo is in sixth place in the overall World Cup standings in their return season. Prior to Oct. 15, they had not slid together since their junior days 10 years ago. Mazdzer and Terdiman finished 0.9 off the winning pace. In an Instagram post Friday night, Mazdzer said he entered the season with his physical health at less than 100 percent. 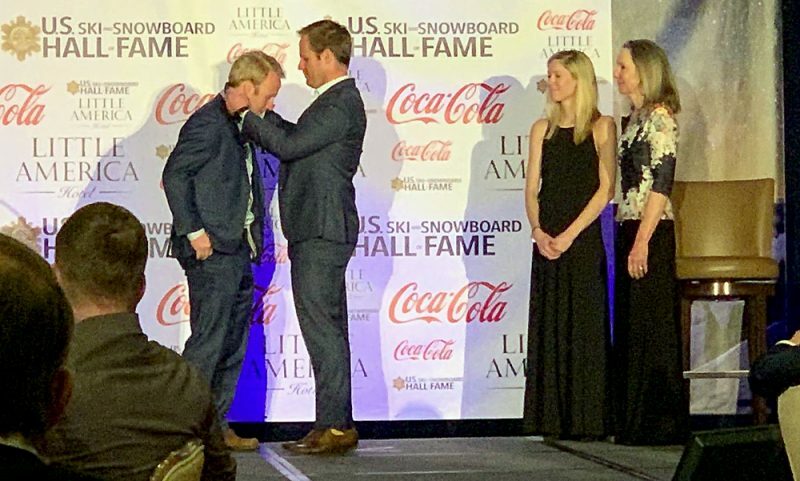 Yet, the twosome was in the top 10 all season, recorded a sprint silver medal and helped USA Luge to silver and bronze medals in the team relay. West, meanwhile, won the Nations Cup qualifier a day earlier. In the World Cup, the two-time Olympian’s starts were, as always, stellar but the two trips to the finish bled speed. His two-run time of 1:26.872 was two-thirds of a second behind Pavlichenko. Such is the nature of luge that the top 23 racers were clocked in the same second. Gustafson rebounded with a final heat that bettered his first by 0.8 of a second. His final time was 1:27.832.